The train rumbled along uneventfully. The views were stupendous, albeit mostly glimpses where it was the most beautiful. I was on the famous Bar-Belgrade railway, and it had been rather frustrating. 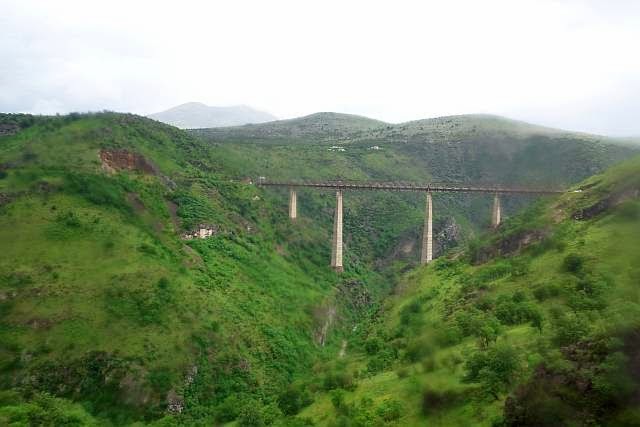 You see, the railway journey between Bar Montenegro and Belgrade Serbia passes through 254 tunnels and 435 bridges. That's some insane statistics (based on Wikipedia entry) and I certainly won't be verifying that. But in reality terms, that means that there would be frequent ins-and-outs of the tunnels and very typically, distances between the tunnels were pretty short. And so it was so darn hard to get a photo of the sceneries! 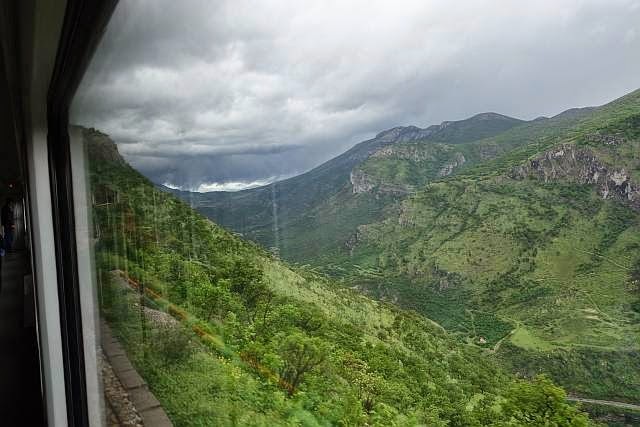 Coupled with the fact that many trees grow near the rail lines which blocked the views, it was particularly frustrating that you get only glimpses of some of the spectacular valleys. 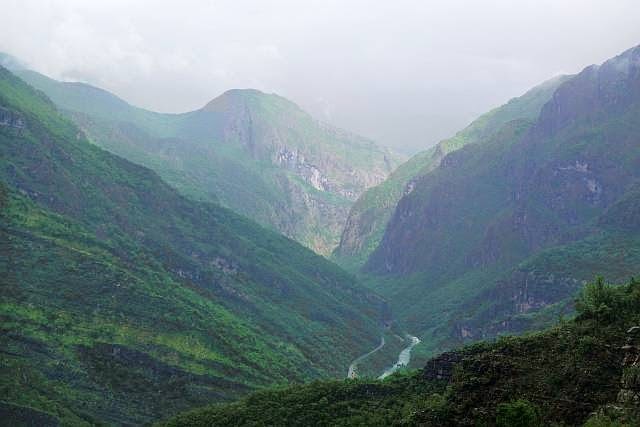 There were various accounts and information on travels to Serbia and Kosovo. 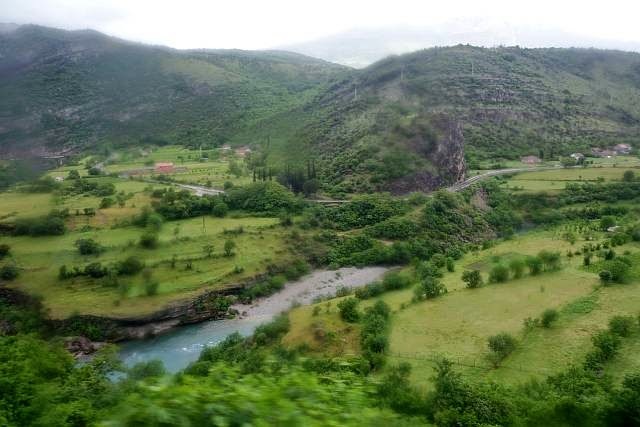 As Kosovo is unrecognised by Serbia (and some countries, including Singapore), it would be prudent to gather some information before traveling through these two countries. 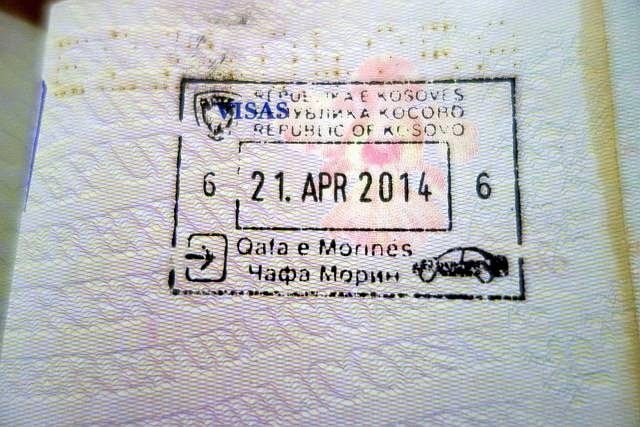 Going Kosovo-Serbia may be problematic when you exit Serbia as you do not get a Serbian entry stamp. Going Serbia-Kosovo is probably ok if you are fine without a Serbian exit stamp (esp if you are not going back into Serbia). But if you had already visited Kosovo (complete with entry and exit stamps), there may be trouble with Serbian border controls when you try to enter the country. The accounts range from being turned back, to having their Kosovo stamps canceled/annulled, but yet allowed into the country! Somehow, on rail borders, my passport would usually generate additional scrutiny. Even at the Montenegrin border, the officer had to refer to a folded piece of paper. And as the train stopped at the Serbian border, the junior border officer beckoned for his senior. I tensed. The senior officer came, looked at my passport, almost nonchalantly mumbled something to the other, flipped through my passport, and then stamped my passport. When I reached Belgrade, the rain had not relented. In fact, it seemed worse. Even in the Serbian countryside, I had seen flooding with cars/buses being stuck. The next day, I learnt that the night before, the government have declared a "state of emergency"! Well, I'm glad my journey was uneventful!! I enjoy landscape photography, and capturing phenomenal lighting is one of the pleasures of the craft. Rainbows, god-rays, irridescent clouds etc etc, these are not only awesome to see, but immensely satisfying to capture for me. I was conveniently in my hotel, looking out of my balcony during the sunset hours, when something strange caught my eye. 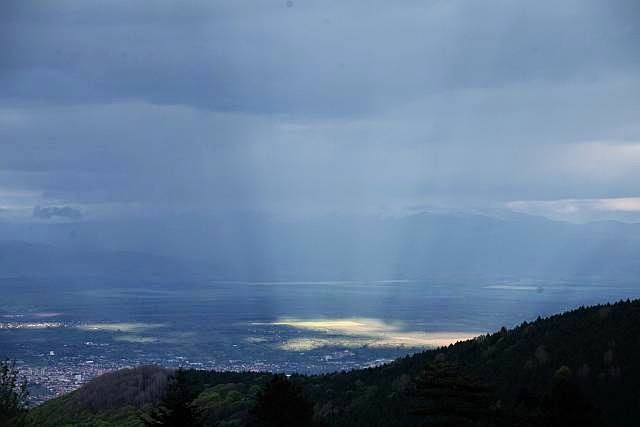 The hotel sits right at the edge of Pelister National Park in southern Macedonia, and the views of the mountains and villages were just fantastic. There were loads of clouds, and typically, with the sun behind them, occasionally you do get "god-rays". Technically known as crepuscular rays, these are rays of light radiating from some point (usually the sun). However, what I saw was something different. The light seemed to be radiating from the fields in the valley! 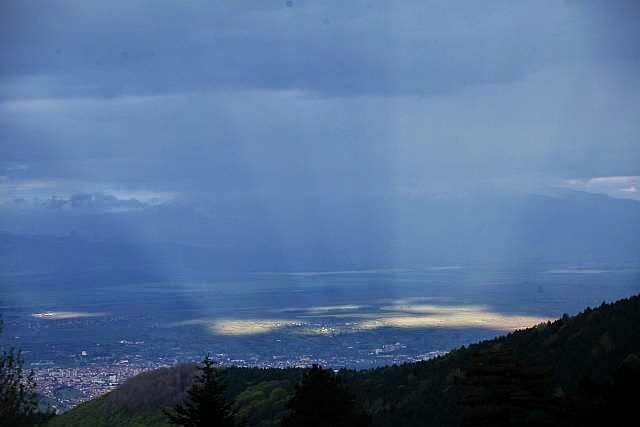 The patches of light on the ground are obviously lit from sunlight through breaks in the clouds. But somehow, it seems to be radiating light! Nature's light is just amazing! 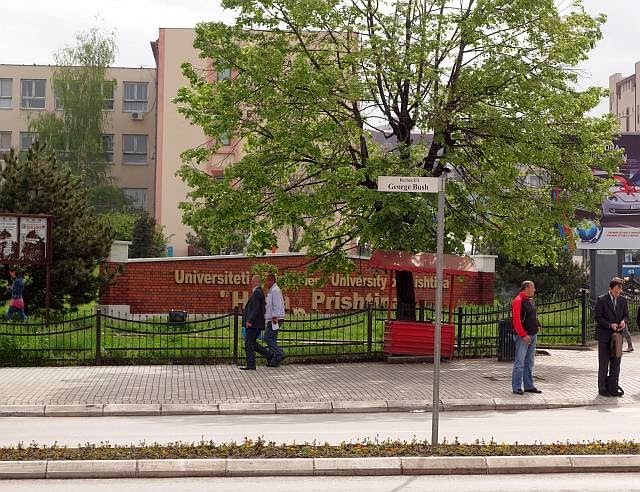 And so I was walking the streets of Pristina in Kosovo, drinking in the sights. It was a strange briefing I had with the hostel staff on the sights in Pristina. Aside from some of the usual monuments, mosques and churches etc, there were a few unusual mentions. "Here, you can see the National Library. 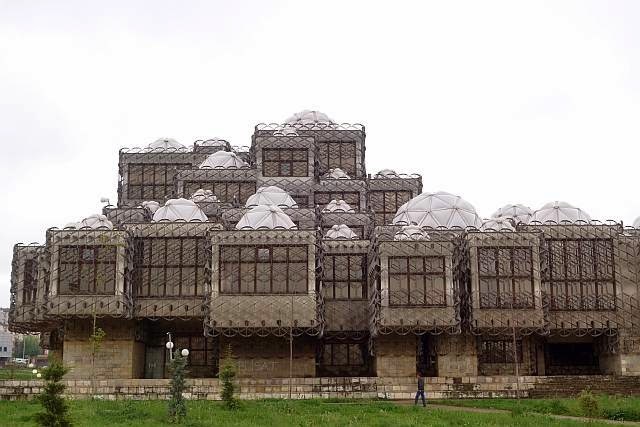 It was voted to be one of the top 10 (or whatever number) ugliest buildings in the world!" quipped Samantha. Ok, I wasn't expecting that on a visit to Kosovo. "You may have noticed this on your way here. At this junction, you can find the world's only statue of Bill Clinton." She continued. I shook my head. No, I didn't notice that. I did noticed the name of the road on my bus though. 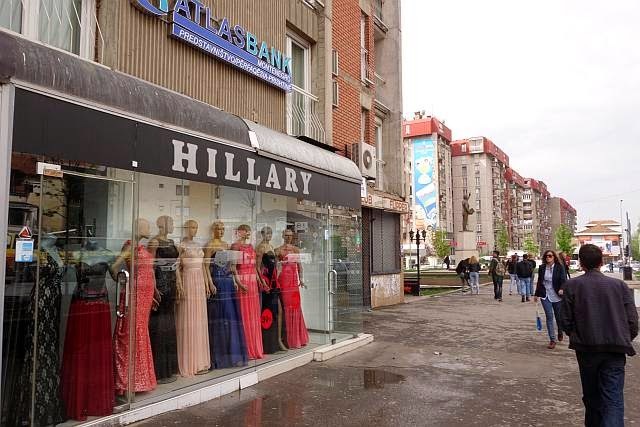 It was Bill Clinton Boulevard. So naturally, the statue stood at one of the junctions of the long boulevard. My first introduction to Kosovo was pretty Prizren. One of the first things I noticed was that for a country declaring itself independent, the number of its own flags being flown around in their cities is woefully low - as compared to the American, UN (United Nations) and Albanian flags! 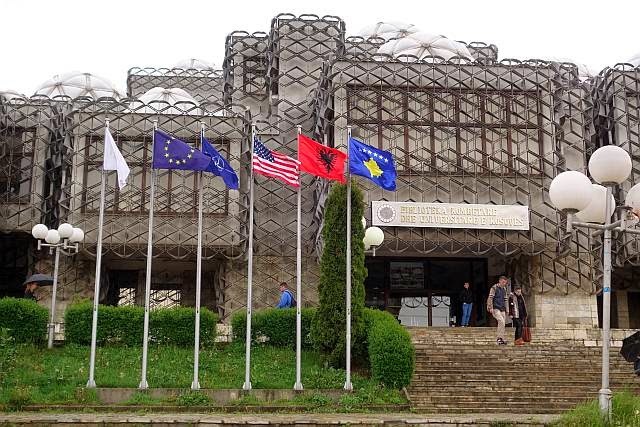 Yes, while more than 90% of the people in Kosovo are Albanians, I find it strange that there are as many (if not more) Albanian flags in the cities than Kosovo flags. Granted, these entities provided enormous support towards Kosovo's independence but still, I hadn't expected this scale. 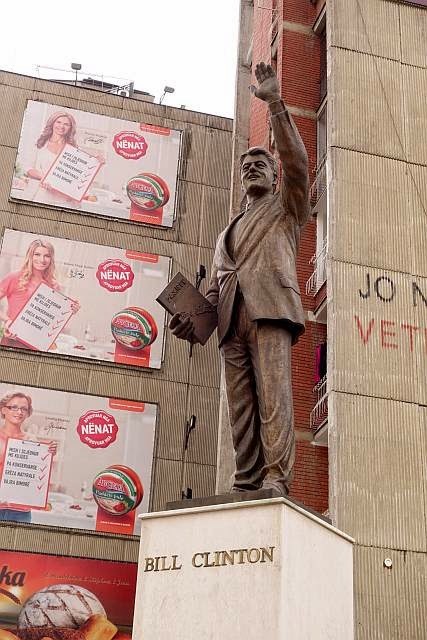 And the Albanians in Kosovo were so grateful to American president Bill Clinton for his help that they erected this 10-foot statue. After some photos, I started to head back and did a double take. On the junction of the statue, the road intersecting Bill Clinton Boulevard is named George Bush road.